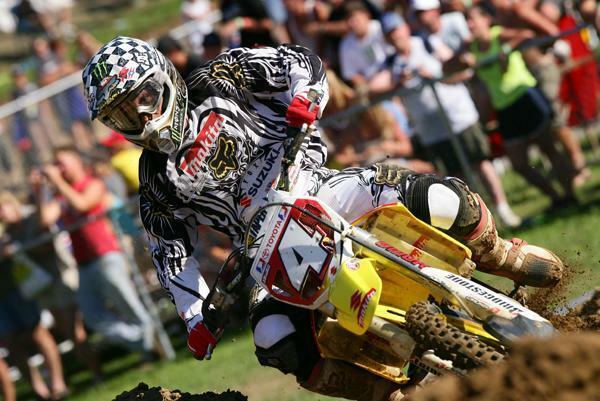 The 2007 AMA Motocross series was a series in transition, as Suzuki’s Ricky Carmichael was racing a part-time schedule as he eased his way into retirement. Just because he was getting the rocking chair ready didn’t mean he was slacking off, though, as RC still managed to win nine of the twelve motos (and every overall) he raced in, with Kawasaki’s James Stewart capturing the first moto at Hangtown, RedBud, and Budds Creek. It was a frustrating season for Stewart—he didn’t quite have enough to beat RC, but he sure gave it his all trying! There were some epic battles at High Point and RedBud between those two, who would stretch out a massive lead on whoever was in third. Even though he held the points lead after RedBud, Carmichael stuck to his guns and started getting into his truck-racing career with no second thoughts. 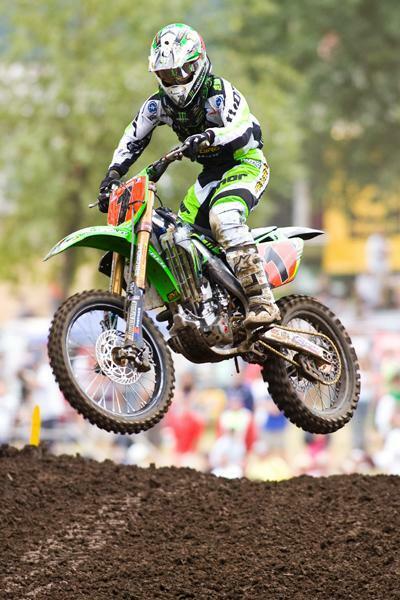 Carmichael did come back for one more race at a track he always liked—Millville, Minnesota. He went 1-1 and that was it. The curtain was down on the most successful motocross career in history. 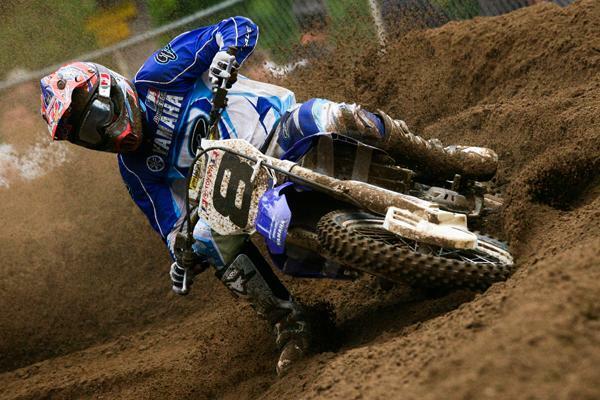 Once RC left, the title was Stewart’s for the taking, but at the very next race at Unadilla, Stewart crashed hard and was unable to race either moto, allowing his pursuers to make up some points. The next week, in Colorado, Stewart struggled in the first moto and came back to get second in moto two, holding on to win his first overall win of the season. Hanging on to the points lead, Stewart won the first moto at Washougal but, while all alone trying to hold onto a solid finish in the second moto, he fell in a slow turn and twisted his knee pretty badly. That was it for Stewart in ’07. Taking advantage was Stewart’s teammate Tim Ferry, who won the overall that day with a 2-2, good enough for the overall points lead in this season of attrition. Ferry, Yamaha’s Grant Langston, KTM’s Mike Alessi, and Honda’s Andrew Short all smelled blood in the water, and the chase was on. Langston, the former AMA 125 Motocross Champion, started slowly on the Yamaha 450 but, with the help of some suspension and chassis changes, was slowly getting better and catching fire. At Millville, Langston went 2-2 behind Carmichael, then swapped moto wins (but got the overall) with Alessi at Steel City. The series moved into Texas, where Short won the first moto but crashed in moto two. GL got another overall win, and the momentum was on his side. Ferry suffered from bad starts and would later remark that he was riding the same speed as always, but the other riders had stepped up once Stewart went out. Langston led the points going into the Glen Helen finale, and he came through with a clutch first-moto win. Short and Alessi were right there as well. The veteran Kevin Windham won the second moto, but Langston’s third was enough to get him the title. With that, the South African had won every major American racing title aside from 450 SX. In the 250 outdoors, it was all Pro Circuit Kawasaki’s Ryan Villopoto and his teammate Ben Townley. The two raced each other hard but with respect, taking twenty-two of twenty-four motos between them (Factory Connection Honda’s Josh Grant and Yamaha’s Broc Hepler were the only other riders to win). Villopoto was the defending champion and had a bit of an edge most times, although Ryan’s points lead took a hit when he tipped over at Unadilla and put a hole in his radiator. 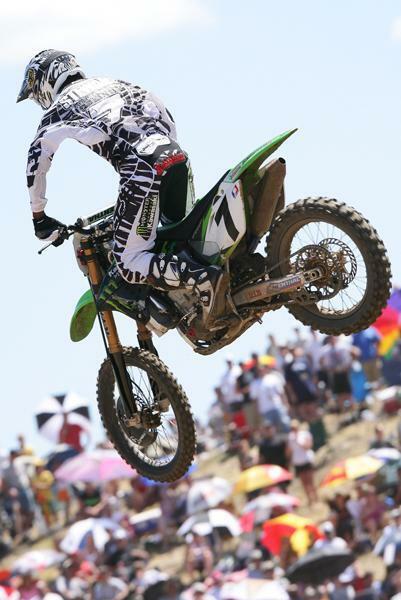 In the end, Villopoto claimed another outdoor championship. Grant and Yamaha of Troy’s Jason Lawrence battled for third, although Lawrence would drop out of the series with an injury near the end and had to settle for fourth. Fifth went to first-year Suzuki rider Ryan Dungey, who also missed some races with injuries. After Loretta Lynn’s, amateur riders Trey Canard, Austin Stroupe, and Nico Izzi all made their debuts, with Canard scoring the highest among the three. It was an unpredictable year of racing in both classes and a bit of a changing of the guard in the 450 class. 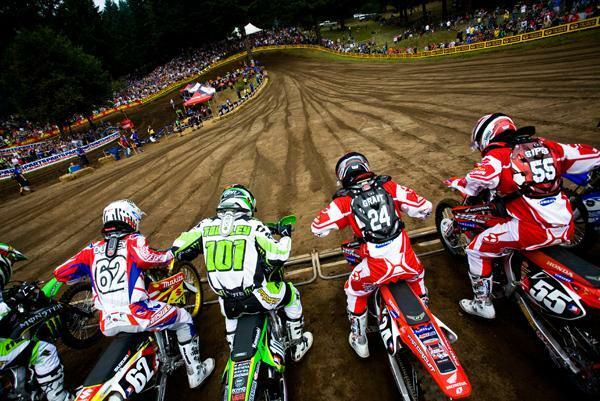 The Pro Circuit team seemed set in the 250s with Villopoto, and Stewart was looking to avenge his loss the next year.